Welcome back to Lit Major Abroad, everybody, the segment where I post stories from my literature-inspired travels, usually about seven to thirteen months after said travels actually took place! Up next: an extremely belated description of a trip through Northern England. Warning: I will not divulge exactly when this trip took place. Suffice it to say that several seasons (as in, leaves falling to the ground, turning brown, and then growing on the trees all over again like those sped-up montages from the movies) have passed since this trip took place. This week’s Top Ten Tuesday is all about Valentine’s Day, but since I’ve always been a bit of a cynic about a commercial holiday which demands that lovers be nice to each other for one day (thus allowing them to be perfectly horrible to each other for the next three hundred and sixty-four days in the year), I’ve decided to make this Top Ten Tuesday list all about my favourite examples of non-romantic love in fiction. The following relationships are not without their struggles and complications, but I think they all show that non-romantic love can be just as messy, affectionate – and ultimately uplifting – as romantic love. I’m sure that many reviews of Jo Baker’s Longbourn begin like this, but I’ll say it anyway: I don’t usually read Jane Austen sequels. Or prequels. Or indeed anything ‘inspired by’, ‘in the style of’, or ‘after’ Jane Austen. 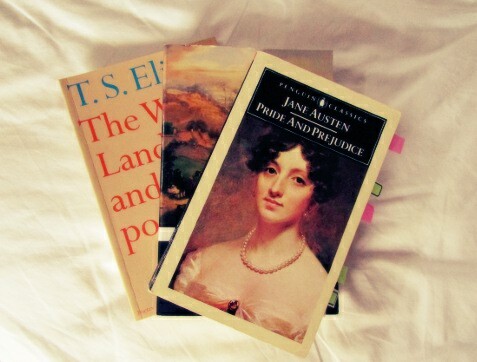 In fact, many years ago now I declared my household a ‘Jane Austen Sequel-Free Zone’, a new development my family had no trouble getting behind on account of them not really caring about Jane Austen at all (it’s tough, but with family you have to love them for all their qualities, good and bad).